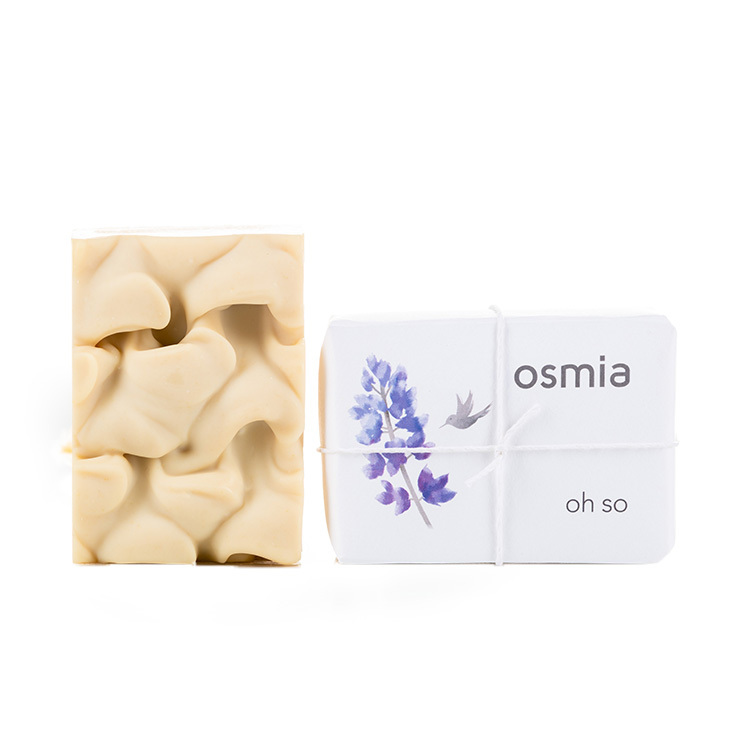 Designed with the most delicate skin in mind, Osmia Oh So Soap is simplicity at its best. Cleanse skin while providing a feeling of soothing softness with this ultra-mild bar. Made with olive oil and mango butter to moisturize and lend a feel of nourishment, buttermilk gives a feel of supple smoothness, while castor seed oil grants a balancing sense to upset skin. Suited for use on all skin types, including those dealing with eczema and psoriasis, severe dryness and irritation, and even babies and children. Use daily to cleanse and moisturize skin. Store on a soap saver to keep bar dry and ready for use. Saponified Oils/Butters Of Olea Europea (Olive)*, Mangifera Indica (Mango) Seed*, And Ricinus Communis (Castor)*; Buttermilk Powder*; Hand-Harvested French Grey Sea Salt; Non-GMO Mixed Tocopherols; Rosmarinus Officinalis (Rosemary) CO2 Extract*.